Some pretty interesting information has surfaced over at Bitsandchips.it, one of the more reliable sources out there. This is one of the first independent confirmation we have about AMD’s flagship GPU shipping with 8GB worth of HBM memory. The report states that the GPU will utilize a dual link interposer to stack 2x 4-HI HBM components for a net total of 8GB HBM. 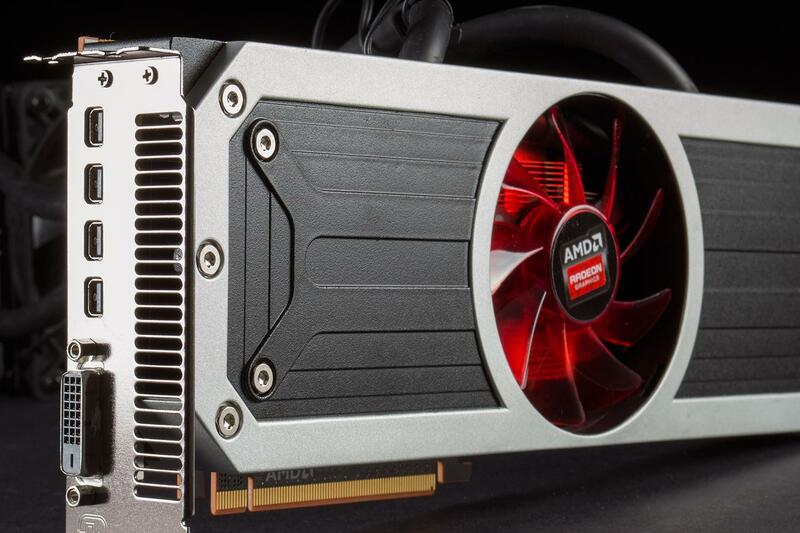 Citing internal sources the publication claims that AMD will be presenting the Radeon R9 390X at Computex in Taipei and that th flagship will be a single GPU card (Fiji XT). It will also have 8GB of memory as rumors and reports have previously indicated. AMD will be employing a technology by SK Hynic called a “Dual Link Interposer” which will allow memory capacities upwards of 4GB without the use of 2nd Generation HBM. When 2nd Generation HBM memory arrives from SK Hynix, the report states AMD will be able to shift seamlessly to the new standard. The problem arises from the fact that the 1st Generation HBM memory is limited by design to just 4GB worth of capacity. While 2nd Generation memory can support up to 8GB of capacity, its production time line is too far for AMD to be able to use it in its Radeon 300 series designs. And AMD is well aware of the fact that 4GB of memory is no longer enough for a flagship product, therefore the only solution is dual link interposing. With a Dual Link Interposing design, SK Hynix will be able to stack 4x (Dual 1GB HBM modules) via an Interposer (2.5D stacking). The design will have very high performance at low clock speeds and will also be very power efficient as compared to GDDR5. 2x 4-HI HBM1 (which should technically be called 8-Hi-Hi according to nomenclature rules) features a 1024-bit interface, two prefetch operations per IO (dual command) and can push 128GB per second per pin. The tRC is 48nm, tCCD is 2ns (1tCK), and VDD is 1.2V. The 4-Hi HBM2 (generation 2) features a 1024 bit interface, two prefetch operations per IO (dual command), 64 Byte access granularity (=I/O x prefetch) and can push 256 GB per second per pin. The tRC is 48nm, tCCD is 2ns (1tCK), and VDD is 1.2V. If you remember we already received a rumor of Fiji XT shipping with 8GB of HBM memory, however since HBM1 can only support upto 4GB – the general assumption was it would be HBM2. This report clears up that misconception.